Last week I came home to find two packages waiting for me. The first package I received was from Paige of chef-girl.net. If you haven’t seen Paige’s blog, check it out, it is filled with cool recipes and fantastic photos. 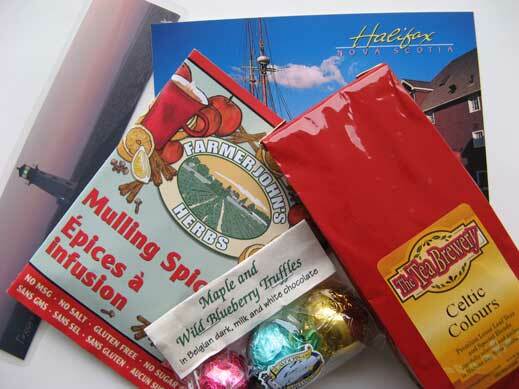 The CBBP #2: Our Season’s Bounty care package I received was filled with some cool treats from Halifax. I received a post card with a note from Paige, a bookmark, a nice blended tea called Celtic Colours, maple and wild blueberry truffles and a package of mulling spices. A thoughtful package with an East coast theme. Thanks Paige! The second package I received was from Kelli Ann of avoir une famille n’est pas comme un téléroman, who sent me a little gift for organizing CBBP#1: Chocolate. Kelli Ann sent me a lovely knitted designer dishcloth. 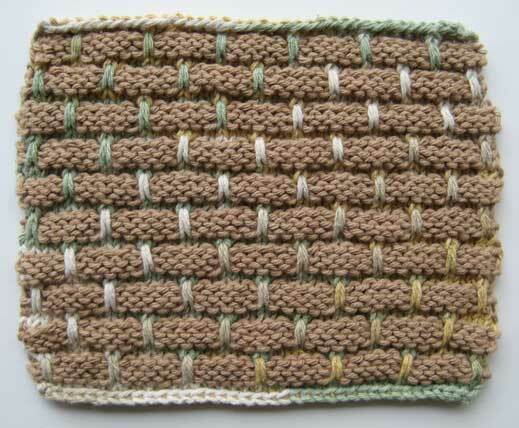 I actually love these dishcloths, and I don’t knit, so a big Thank-you goes out to Kelli Ann. If you missed Jasmine of Confessions of a Cardamom Addict's CBBP#2 round-up check out the wonderful dishes and recipes that Canadian food bloggers shared. Posted by Sam at 9:44 a.m. I know my package is waiting for me at home but I won't be able to pick it up until Friday... the wait is killing me. sam, you're quite welcome-- merci à toi for your talent as a host, bringing that all together-- cheers!